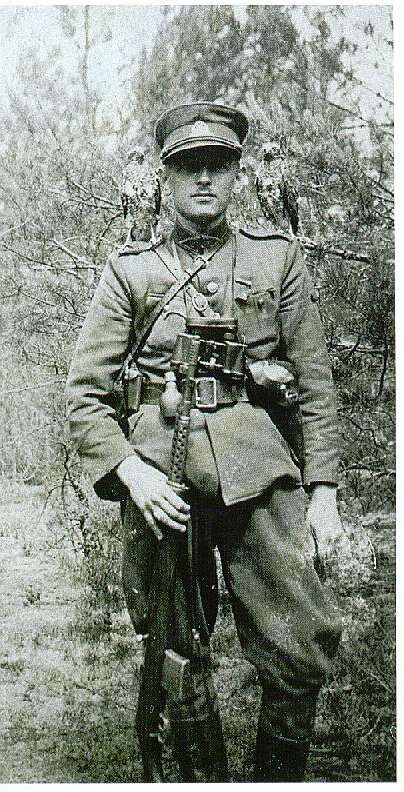 On this date in 1957, Lithuanian anti-Soviet partisan Adolfas Ramanauskas-Vanagas (Lithuanian link) was shot in Vilnius. Ramanauskas-Vargas himself was born in the U.S., but his Lithuanian family soon returned to the motherland, where Adolfas grew up and taught seminary during the war years. When the USSR finally broke the Siege of Leningrad and sent the Wehrmacht running west in 1944, it (re-)occupied the Baltic nations of Lithuania, Latvia, and Estonia. And the Soviets didn’t plan to leave. Bands of anti-Soviet partisans formed in these anti-Soviet states, as elsewhere in Eastern Europe — the evocatively named Forest Brothers. Ramanauskas-Vanagas joined up. Absent western support which was not forthcoming, these nationalist guerrillas were overmatched against the Red Army — but the movements held out in their secret wilderness fastnesses for years, and in the case of at least a few intransigent individuals, decades. The Soviets answered with ruthless suppression to quell resistance, coupled (after Stalin’s death in 1953) with an amnesty offer that largely emptied the forests. There’s a Lithuanian biography of him here, and a few good photos in this forum thread.